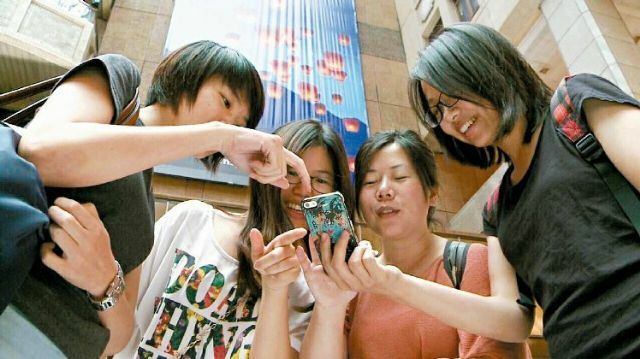 Digital ad growth in Taiwan continues to grow amid rising popularity of mobile devices(photo courtesy of UDN.com). Mainly driven by growing demand for mobile and video advertising, Taiwan's digital advertising market is expected to further expand 22.82 percent to NT$19.869 billion (US$630.76 million) in 2015 from 2014, according to the Taipei-based Digital Marketing Association (DMA), an advertising agency group. DMA's statistics show Taiwan's overall digital advertising market in 2014 generated total revenue of NT$16.177 billion (US$513.55 million), for an 18.3 percent growth over 2013. Of the total, 39.4 percent share, or an equivalent of NT$6.366 billion (US$202.09 million), was commanded by online advertising; 11.1 percent, or NT$1.79 billion (US$56.82 million), by video advertising; and 29.1 percent, or NT$4.707 billion (US$149.42 million), by keyword advertising. Meanwhile, mobile advertising and social media advertising (including word-of-mouth advertising) contributed NT$2.287 billion (US$72.60 million) and NT$1.027 billion (US$32.60 million), respectively, to the total to account for a 14.1 percent and 6.3 percent share. A tell-tale indicator of DMA's statistics is that revenue stemming from mobile advertising (the kind typically placed on smartphone and handheld devices) among other channels enjoyed the strongest growth of 106.4 percent last year, mostly thanks to growing consumer preference for mobile devices. Video advertising also underwent an explosive surge of 61.0 percent in revenue. Based on such trend, DMA hence predicts revenue from mobile advertising and video advertising to further shoot up 73.3 percent and 69.5 percent, respectively, to NT$3.963 billion (US$125.80 million) and NT$3.034 billion (US$96.31 million) this year, compared to 2014, to continue to change the ad landscape in Taiwan to drive growth of digital advertising but sideline traditional or paper-copy ads.